Is it Better to get a Fixed Rate Loan? If you are considering getting a loan then you will see that you can choose from a fixed rate as well as a variable rate loan. Some specific types of loans will only have the one option but larger loans such as mortgages, tend to have a choice of options that you are able to choose between. There are advantages and disadvantages of both and it is a good idea to understand what the differences are between the types of loans in order that you can choose the one that is best suited to you. A fixed rate loan is one where you pay a fixed interest rate. In the case of a long-term loan, such as a mortgage then the fixed rate period will not be for the full term of the loan but for a shorter period, perhaps a few years. It means for that period of time your interest rate will not be changed and so you will be repaying the same amount of money each month. For shorter term loans it could be for the whole term of the loan that the interest rate is fixed. With a variable rate the interest rate that you pay can change at the will of the lender. This can often be in response to a rate change by the Bank of England but not always. When rates fall, lenders do not always lower their rates in line with that, but if a majority do, then others tend to be forced to do so in order to remain competitive. Sometimes they may put rates up when there has not be a Bank of England rise for a while in order to increase their profits and if one lender does it, others may do the same. They are much more likely though, to follow the Bank of England changes. Many of the people that have a fixed rate like it because it means that they know exactly how much they will be paying each month. This is particularly useful for those that struggle to make the repayments as they are able to know that these repayments will not suddenly go up and become even less affordable. However, it does mean that if rates fall, they will not see a fall in their interest rate and the risk of losing out like this, can be the reason that some people opt for a variable rate. A fixed rate can also often be more expensive than the variable rate. This could be offset if the variable rate goes up and the fixed rate obviously will not. It can be tricky though to predict what the rates might do and so choosing which might end up being the cheapest can be almost impossible. It is worth bearing in mind though that with a fixed rate, you might be tied in to it, so if the variable rates are suddenly significantly cheaper, you will not be able to switch to the variable rate. It can therefore be quite difficult to make a choice. You will need to think about things in light of your current situation. Consider whether you need to know that you will be paying the same amount each month. If you feel that you could struggle to afford repayments if they go up, then having this peace of mind can be really good. However, you might find that you would rather not pay extra for your repayments and hope that the variable rate does not go up too much so that you save money by sticking with that. If you do not like the idea of being tied in to a lender then this could be the better option for you anyway as it will allow you to switch. It does means that if the rates go up too high you could swap, although it is likely that if these rates go up, that all rates will go up. It is a tricky decision and you may like to consult with an independent financial advisor on it, to see what they feel would be the best. However, the ultimate decision will be yours and so it will be up to you to think about whether you like the idea of the security of a fixed deal or whether you would rather be flexible and whether you are willing to risk interest rates changing significantly and you missing out or being protected from those. You may also prefer the idea of being able to switch lenders easily rather than being tied to just one. 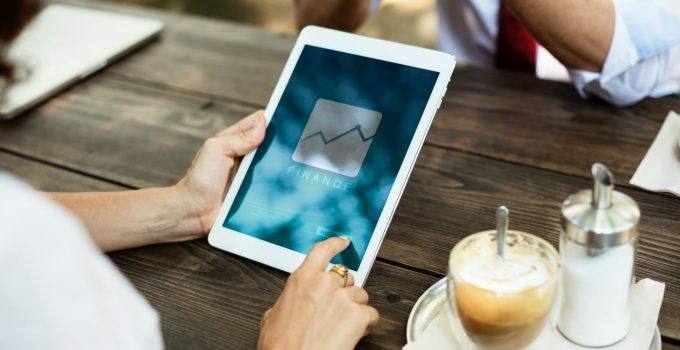 However, you might decide that once you have found a lender you will not be switching anyway and so being tied in to a lender may not make any significant difference. T4P Money Copyright © 2019.